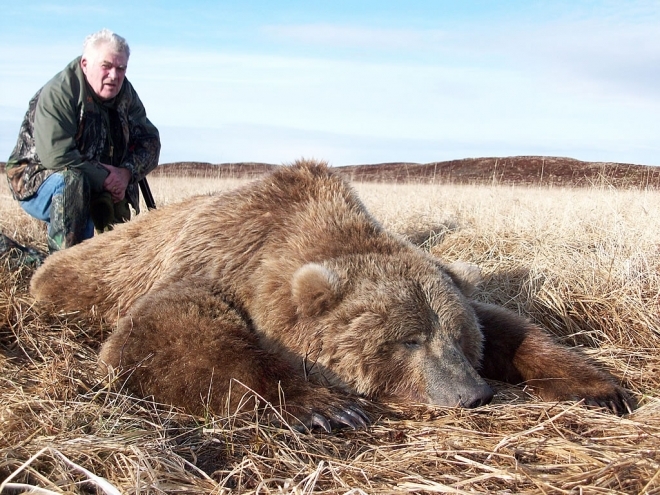 It is not often that we have an unsuccessful hunter on Unimak Island, but Phil Williams is that guy. Phil’s hunted with R&R five years prior in some of the worst weather we had ever seen in the spring. There were very few days that we were able to hunt that spring and was detrimental to Phil’s success. Fortunately, “Phil being the lucky guy he is”, drew another Unimak tag for the spring of 2010. Phil gave R&R another opportunity and we were able to help Phil fulfill his dream of harvesting an exceptional Brown Bear.